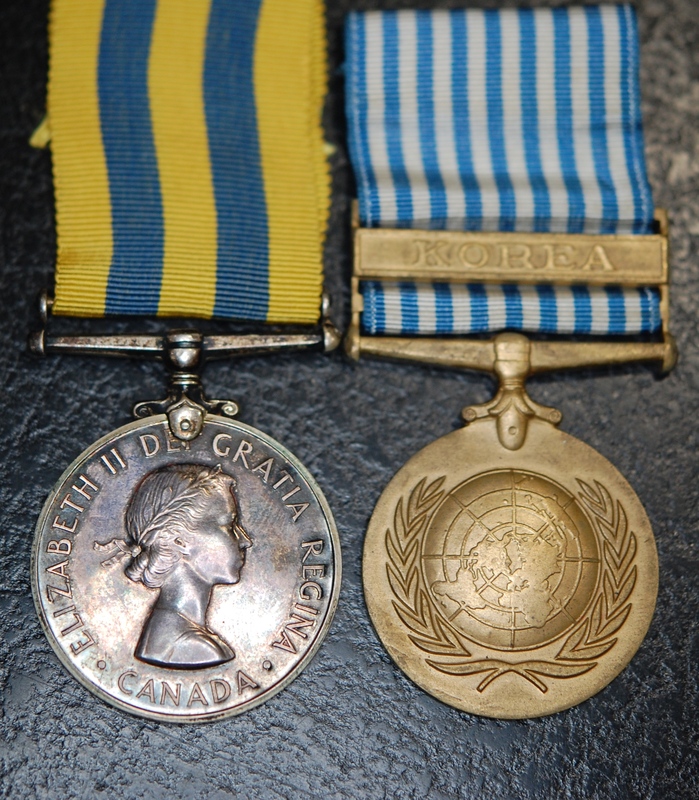 Canadian issue Korea medal pair to D-801293 J.C. Wilkie. 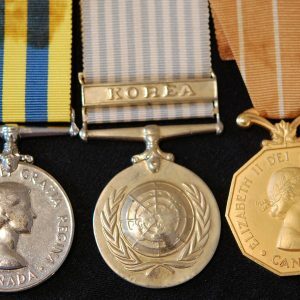 Korea medal (EIIR) Canadian issue and United Nations Korea medal pair both named to D-801293 J.C. Wilkie. “D” prefix suggests Wilkie is from the Western Quebec (Hull) area. 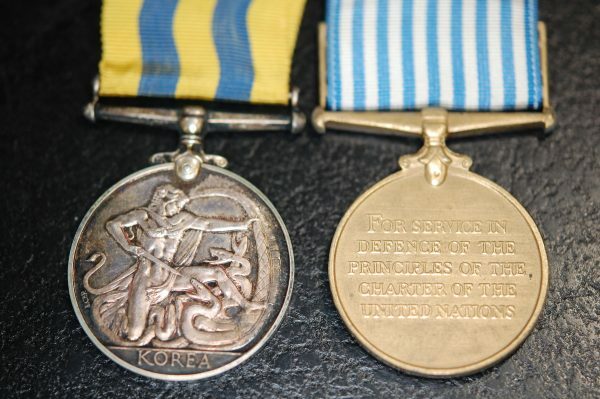 Otherwise, unresearched. 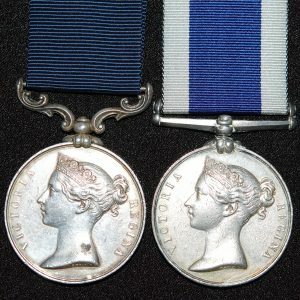 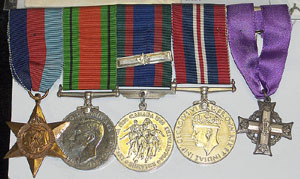 Medals in very fine condition with ribbon. 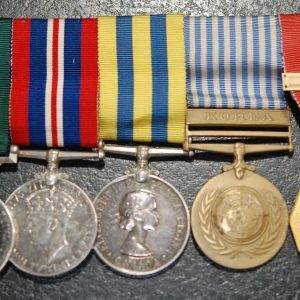 WW2 and Korea Service medal group of five to SB-800484 DK Major, Royal Canadian Signals!